Does that mean if you are a recluse, you have contact with no one from the outside world? Do you live in the mountains and communicate with wolves, bears, and deer? There are many people who are private and don’t like big crowds, but they haven’t fallen off the social planet. There have been many celebrities throughout the decades who have been listed as “reclusive”: Greta Garbo, Howard Hughes, John Salinger, Harper Lee, Doris Day, John Hughes, and Lauryn Hill. There is an aire of mystique surrounding the “not knowing” of a person’s private life. Are these celebrities truly reclusive or people who aren’t into the attention and limelight? Perhaps they just want to do what makes them happy and go home at the end of the day without any other duties. Are they obligated to make their personal lives and desires public? Greta Garbo made 28 films in her career but retired in 1941 and relocated to New York City. She rarely attended award shows or did interviews. She never indulged paparazzi or gave interviews. She had very famous friends that she would travel with and lived a very happy solitary life outside of Hollywood. She died at the age of 84. 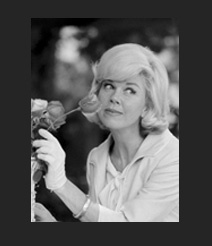 Doris Day was the “girl next door.” With that blonde hair, twinkling smile, and beautiful voice,she was beloved by many. When she left the film industry more than 30 years ago, she never looked back. She settled in Carmel, CA and is a major supporter and advocate of rescuing and healing abused and mistreated animals. She even opened her own organization. She loves what she does and does not seek or want attention. Perhaps Webster should modify their definition to: one who seeks to live a normal life amid fame and fortune. ← New Movie Hot Seat: Closed Poll! 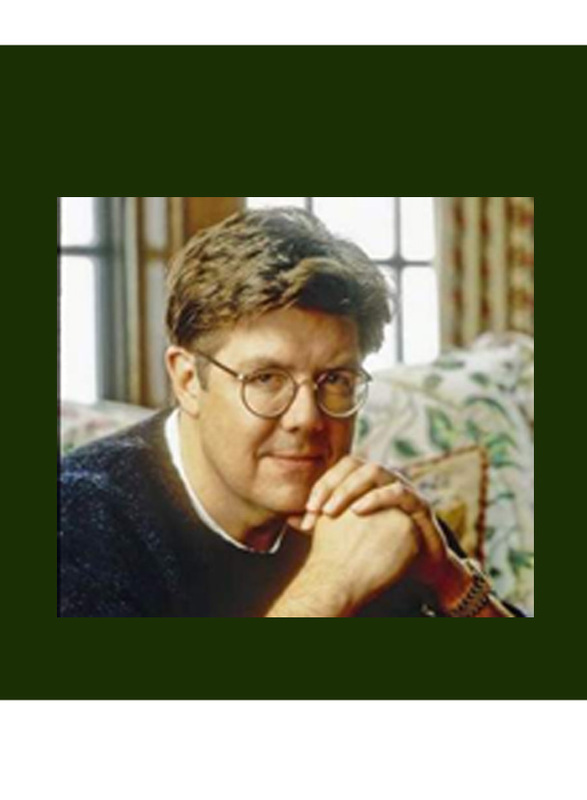 This is refreshing, especially in the case of John Hughes. He wanted his family to have a normal life which seems very hard in LA just judging by celebs’ kids getting into the business and many times getting screwed up. When so much of the media is obsessed with claiming that the desire to perform is synonymous with an ongoing obsession with attention, you’ve thankfully done the exact opposite. The nicest thing about your treatment of this subject is you are so careful to sympathize with your subject’s natural desire for seclusion. Because you are SO generous, I’m sure you aggressively avoided bringing any attention to any issue that might inspire a desire for privacy. These reasons could be (on the positive side): the need for working reflection, the need to hone inspiration, or the need to advance personal-development. On the less conventionally positive side a personality might need room for self-definition, might need solitude to work through private obstacles, or just might need privacy to breathe. I think many of these necessities may have eluded the fourth of the personalities you discussed. Despite his many public successes, here’s a clip of the Aviator’s meditation on Hughes’ attempts to reign in one of his personal challenges. Obviously, I meant sometimes director Howard Hughes not director John Hughes. Glad you liked the article. Yes, there are many reasons why celebrities want to stay out of the HW public eye. It could be for a myriad of reasons. I’m glad you mentioned Howard Hughes. I’m sure like he, there are others who suffered from disorders that would not have been dealt well by HW. Nor should they even be discussed or handled by HW. I just don’t like that because people stay out of the limelight they are considered recluses. They are just recluses from the mass fans and crazy paparazzi and tabloids. Other than that, I think most do socialize, but within their own boundaries. Great article! I can’t wait for the discussion. It’s an interesting topic! In regards to Howard Hughes…One wonders if he would be in his prime today, would the self imposed solitude happened. We have come along way in regards to some of his alleged disorders. We haven’t come full circle, but along ways. Also, there are a lot of celebrities that do not live in HW, just so they can raise their kids with some sense of normalcy. Kyra Sedwick & Kevin Bacon, Tom and Rita Hanks to name a couple. I remember reading once that Paul Neuman and his wife Joanne Woodward stated the only reason there marriage lasted as long as it did was because they never lived in HW. However, these celebrities do make appearances at award shows, parties, talk shows, other interviews, etc…it’s the ones who refuse to do any of these that make them so mysterious, even though they are just regular folk. I think the evidence of a good topic is it frequently starts before the scheduled time. Francesa, I don’t want to be the bringer of bad news but Paul Newman lost his son Scott, (a product of a marriage prior to Joan Woodward) to a drug overdose. Though he, like Paul, were both professional actors I think it’s hard to argue that fame or an overdose of attention did him (or them) in. This proves again that performing celebrities have the same needs of privacy outside of the spotlight that everyone else does. I agree Hughes problems might have been better handled today than then. But I suspect the same need for personal boundaries were equally necessary. I posted a link, but you’ll notice next to article you see the same articles about celeb over-exposure saturate the public’s appetite for celebrities. Thanks so much for the needed break LB. You are correct in that just because you are out of the limelight doesn’t mean your family is going to escape from real life problems. Those come regardless. HOpefully having the privacy makes things some what easier. Welcome to our discussion tonight. New and returning visitors please jump in anytime we would like to hear from u.
I think you did a great job highlighting those who chose to remove themselves from the LA scene many years ago. I do wonder if they could have been as successful in our time due to the ‘instant access’ of the internet and electronics/cell phones etc. OooooH, Lurker, that is a great thought! 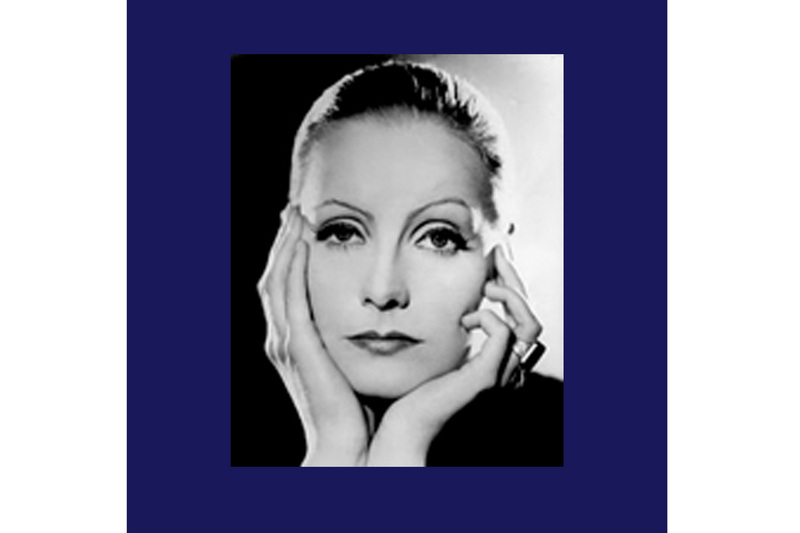 I can only imagine that Garbo would completely have shut down or hired the most top secret security team ever. I really only mentioned a few of the many celebrities who backed out of the limelight. I can’t imagine how difficult it must be, or costly for that matter, to live “normally. I think for those whose “day” has kind of passed, it might be easier, but for those in the thick of it, or just getting started, it has to be tremendously difficult. I think like Garbo some some just get tired. John Hughes and Dorris Day seemed like they had a lot to say, said it, and then needed to rest, retire, or recede. The media keeps telling us the need for fame multiplies or these individuals have an insatiable hunger for our attention and this seems (to me) to be entirely unlikely. Ever since reading the article, I just can’t stop thinking about this topic. Good CR! I hope that it’s in a good way. I wanted to write about this topic, or at least bring it to light, because I’m so sick of celebs (those desperately seeking attention) selling themselves to the tabloids. Between them and the “recluses” there is such a stark contrast. What has got you thinking most? Definitely in a good way. The media seems to suggest that you can only have more attention, exposure, and visibility. Your article suggests celebs sometimes get their fill.
? for you – do you think the over-abundance of media really driving this need for ‘more-more-more’ ? Back in the 50s there was media in print and 3 network news channels. Now we have the inernet, print media, cable news and entertainment channels. It seems to me that there can’t be enough to spread around that many sources without the media generating some of this ‘need’. I think it’s media producing and audiences consuming. 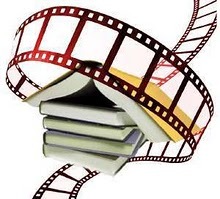 Both tend to flatten out HW celebrities, as though it doesn’t take time to build strong story lines, develop characters, or rest from any of these processes. Very true! If you only have 1 min or a few paragraphs – how deep can you go? I was sort of referencing back to the Greta Garbo and Doris Day reference LB raise in the article. Very different time period than today with news. OMG, you’re right Lurker! it really was 20 years ago!!! hahahahahahaha!!!! Greta Garbo once did an interview with Paul Callan of the London Daily Mail at the Cannes Film Festival. He started his interview with “I wonder…” and she remarked, “Why wonder.”, got up and left. I was actually pretty impressed by that. haha! I knew I loved her for a reason, lol! Oh I definitely believe celebs get their fill!!! I don’t blame you. It must be exhausting to always be “on”. I think actors like everyone want to grow and change with their work overtime. I mean u hope!! I mean it’s boring to see stale performances as audiences. So I think it goes both ways actor’s can get fed up with being type cast or limited and in turn audiences get crap. So it behooves us as consumers to give actors their respect and privacy when asked.IMO!! Absolutely 100%, OB! It can be very difficult trying to grow and change and experiment when people are constantly getting glimpses of your private life. One needs that solitude and that can be solitude out in the wild or solitude in a busy place where no gives two flying figs who you are or what you do. It’s just finding that solitude that matters. There are a few actors/actresses I think could truly benefit from getting away from the HW eye for about a year or so. Great article and topic LB. I’m a firm believer that artist need to detox in between jobs to fully give audiences their best work. Otherwise it’s easy to get eaten up by the HW machine. Boundaries is hard to establish for actors starting out their careers given how insatiable fans can be with anyone new but it’s up to the actors to know what they need to stay grounded in reality and if moving out of LA is necessary do it. I guess all I’m saying is that u can’t let peer pressure dictate what u need to stay sane and have a career. I agree. Earlier, I was trying to help out by saying what some of those reasons for seclusion might be. OB and CR, ITA. I think one must truly be in the mindset of “taking care of their emotional, spiritual, and mental needs”. No one else can. And it extends to more than just celebrities. I think every career can take its toll and you have to do what is necessary to find that balance and harmony to keep one at their best. I think the more you take care of yourself (and that includes points you mentioned earlier, CR) the more productive and better one will be as a person and an actor. I completely agree that every career can take its toll. Sometimes the higher demanding careers require down time and time to unplug and they are not all celebrities. It just depends on how much it takes from you and how the work schedule places demands on your emotional and physical well being. These are jobs all over the spectrum, from IT to Healthcare to Military and Public Service(Fire Police) etc. I read an article somewhere recently that Andy Garcia has seemed to insulate his family and private life from his acting career. I’m not sure I would classify that as a recluse. And that, Lurker, is why I hate the title recluse! Just because you aren’t giving the public and tabloids what they want doesn’t mean you are a recluse. A recluse is one who completely withdraws from society. There’s no association with anyone! Well you can’t. Its just that you stay focused on what’s important in your life. And from my own personal experience (as I’ve been accused lately of being reclusive), it’s that I’m focused. Sometimes that means withdrawing from things that are time wasters and being social. It doesn’t mean you’ve stopped living, just that you’re not being the social butterfly. I don’t understand why that’s not acceptable to many. ITA with your point on being focused. I’m totally 100% focused right now on my work and all that entails. I’ve given up being socialable because I choose to better myself and people don’t understand that. Its not acceptable to many because what you and i are doing is not what they would do for themselves and so it is foreign to them. As I said to LB yesterday, it’s the press who think it’s reclusive, not the actual celebrity. They’re busy getting on with their life away from the cameras. The only thing that has gone away (to some extent because it never fully goes) is the intrusion by the press. I’m beginning to think specifically actors either make a commitment to their craft or make a commitment to being visible and accessible celebrities. Of Leonardo’s new J. Edgar hoover trailer, how can you prepare for work like that if you don’t remove yourself from so much visibilty all the time? Wow, that looks incredible! First time I’ve seen the trailer. So CR, following on your comment, do you think then that actors have to fall into 2 camps then? If so, I might have add that I think those that have “talent” fall into the first group and those that are border line or have lackluster careers are falling into a second group. More defined by gossip/media attention. As if that has anything to do with talent. Maybe that’s why I get so irked with ‘reality tv’ and them being classified for being media hounds with ZERO talent. And I can’t even go there with reality TV. It disgusts me beyond all comprehension. Ewww, I would throw up too! I tend to agree with the talent assessment. But even if that isn’t so, working on your work should be some sort of necessity. For those reasons I expect so acting celebs to disappear ocassionally. I agree with the two camps. Thank you, CR, for that. I believe Leo takes his privacy extremely serious. I know he has fun and does normal stuff, but he knows when to pull back and focus on his work and what to do to make himself better. After watching “Drive” and a few other of Ryan Gosling’s movies, I think he does the same. yes he is still out in the public enough to get pictures and such, but on the whole, he keeps his distance. IMO, I think those who are constantly putting themselves out there to be scene are wasting time that could be used for discovering self and honing their skill. How can you work, make a billion of public appearances, and then have time to decompress and get away? Wow, Leo is almost unrecognisable in that! It looks like it’s going to be a good movie. Is this being released in time for award season? If so, I can see it winning alot! Thank you for the trailer. I cannot wait to see this film! As far as the time for prepardness for this type of role would be extensive, IMO because J. Edgar Hoover was a real person I would think that Leo had to do extensive research into his life and find out what type person he was in public and private as compared to a role of a fictional character. Hi all! My headache’s threatening to rear it’s ugly head again, so I probably won’t be commenting much. I’ll mostly be trying to keep the remaining brain power on understanding what’s going on, trying to type my short circuit it! Hi Lurker and CR! Hope you’re both well! Hang in there healthwise, there’s no need to rush. Is there another word that could be used instead of recluse? I’m genuinely asking. There has to be something else…. Some adjectives might help us find a better word: focused, selective, diligent, introspective. I think recluse has negative connotations to it that’s why tabloids like to use it. It also suggest celebrities are trying to avoid fans when they are just trying to stay grounded.Yes! I think all the other words tabloids could use instead of recluse is too complimentary to the actor. What celebrities do you appreciate that have stepped out of the limelight? What do you admire about their desire to focus on themselves, family, friends, and career? Excellent choice. I know she is very fierce about protecting her family. Julia Roberts seems to have pulled away after she married. CR, earlier you said, celebrities “might need solitude to work through private obstacles”. I think Lindsay Lohan is a perfect example of this. I don’t pay much attention so I don’t know what her status is at the moment, but I wish she could get away for at least two years to overcome her obstacles. And sometimes, I think someone may even need to remove themselves completely from a career if it is a trigger. How would I know in the big picture. Hate to say it but he tabloids make it appear that Ms. Lohan frequently chooses the second of the two camps. Musical artists seem to be able to retreat fairly efficiently. I don’t think actors are as fortunate. OB! Where did you go??? I’m here I’m reading everyone’s great comments. I’m also having trouble with my computer, which is running kinda slow today. What do you think of the last paragraph on page 2? I have some mixed feelings on that last paragraph in that article. Are they saying that all celebrities have to be ‘on their P’s and Q’s” when out ? Does that mean ON? Why can’t they just be like regular people? Its sounds like the article authori is inferring that they have to worry about being ‘caught’ in some slip up because they are being stalked. Who could live like that? I agree Lurker. Regular people do stupid stuff or make big blunders in public ALL THE TIME. I don’t get why celebrities have a responsibility to maintain a clean image. I get that studio heads WANT them to, but 1) that’s stupid and 2) unfair. And why do they deserve to have their privacy intruded upon because of said slip ups. That is just society’s way of trying to control their celebrities. IMO. And no one can live like that. At some point they are going to lose it ( shaving heads and such). I don’t blame them. I think it’s like Imprisoning someone because they have a career in the public eye. So many people want to vicariously live through actors and these Tabloids can be relentless in trying to create drama where there is none and consumers eat it up and fall for it. These actors are not saints and have vices just like anyone. As long as they aren’t violating laws who cares if they are caught picking there nose. But quite frankly can u say these tabloids & stalkers are obeying laws? No I can’t, and I agree with your comment, OB. It makes me question the need for drama and chaos….Why are people so miserable? The only thing I ask of an actor is that they don’t phone in their performance. That’s all. Pick your nose all you want. Unfortunately, I have to go. Great article LB. Hey LB, I need to go. Great discussion! I have to go also. Great great discussion and article. I will come back tomorrow and comment as well. Thank you! 🙂 have a good evening. I have a few more minutes before the dinner timer will go off. Any other questions or comments before I feed the troops??? Actors are just like everyone else. They deserve privacy and the need to be alone whenever that is needed. Give them a break and appreciate their work. Also, for any new or returning readers, please feel free to comment at anytime after this discussion. Even if it’s months down the road, we will always check in and get back to you. 🙂 thanks for stopping by! Now before I begin: Whoever moderates this board, if i say anything that is found offensive to you, please delete it as you seem fit. I totally agree with CR on the fact that actors fall into two categories: Those that are serious about their craft or those that make a commitment to being visible all the time. With that said I also think there is a third category: Those that SAY they are serious about their craft but lack talent and therfore have to resort to using the media and other aspects of their career to stay relevant. *snort* to the second paragraph. 😉 And only because I agree and my brain waves are in sync with yours. I’m going to have to break this up: The screen is acting funny, my apologies. Regarding the private lives of celebrities and their work. As i mentioned above, Leo I’m sure did extensive research on J. Edgar Hoover and the time period and that entails “disappearing”. Leo also does not splash his private life across the tabloids or go out of his way to create antics. Now regarding R’sten: Sorry I have to go there. I’m interested in seeing how the entire thing plays out. Anyone with logic knows and can see that R’sten is PR. They are not really a couple. With that said, Their “private” lives are completely speculated upon ALL. THE. TIME. Regarding Rob, if anyone has seen any of his work prior to Twilight, he is a good character actor. However, his films are tainted by his link to Twilight. For example, the WFE premiere and the kiss that never happened or her showing up on the set of Cosmopolis and sitting in his trailer until the cows came home in order to perpetuate a lie. How can he prepare properly for anything when there are constantly paps on his sets and fans and Kristen? He can’t. Every move either of them makes is directly tied to the other one. So IMO R’sten stifles Rob’s creativity. Kristen, on the other hand needs to start over or leave HW. IMO. I 100% agree u can’t focus properly among this R’sten chaos. Especially for an actor who’s trying to stretch themselves personally and professionally. I think when actors are under the spotlight like R most play it safe and do a bunch similar work to keep from getting judged to harshly. The only problem with that consumer’s get bored and it goes down hill from there. However, I admire R’s choices he’s made outside of the Twilight franchise while being under this kind of pressure. Now, if R can make these kinds of choices under this crazy pressure, then imagine what awaits after Twilight and R’sten is over. A Diamond in the rough he is. Jodie Foster!!! How can I forget her? She’s definitely fought to keep her private/family live away from all spectators. And she has stayed classy.